A herd of elephant seals. 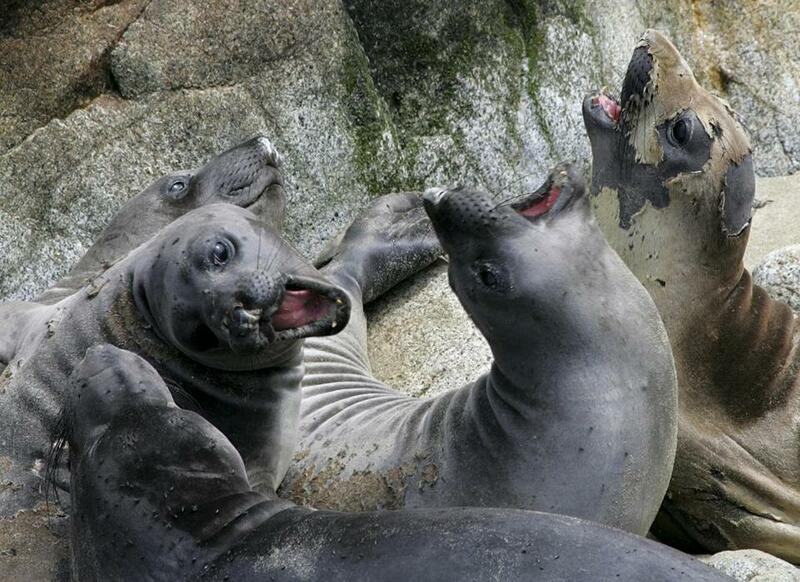 50 to 60 — That’s the number of adult elephant seals who took over popular Drakes Beach on the Point Reyes National Seashore in California during the partial government shutdown, when there were no park rangers to shoo them away. The females have given birth to about 35 pups, and it’s unclear how the park service will handle the burgeoning colony in the long term. John Dell’Osso, chief of interpretation and resource education for the seashore, tells SFGate that, in the short term, staff may offer tourists guided tours.